With the recent release of SharePoint 2019, Synthesis Technology is very excited about the Sharepoint 2019 improvements ( Sharepoint 2019 Features) that have been brought. We are the best SharePoint intranet Design and Development company. 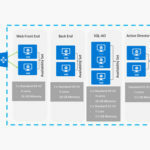 With cloud accelerated experiences, an improved hybrid search, Reorganized Home, Improved communication and team sites, suite Navigation, etc.. SharePoint 2019 looks like it could be the best iteration yet from Microsoft. 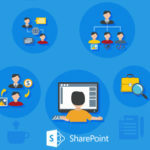 We specialize in producing exceptional Microsoft SharePoint intranet portals that have unique, innovative functionalities and eye-catching designs those will engage employees, clients and other internal/external users. 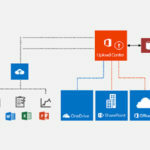 Even you can use Microsoft Office 365 also for Sharepoint Intranet. 3 All electronic Device Friendly Layout like Mobile, iPad, Tabs.. Contact us for Best Sharepoint Intranet Templates or Best Sharepoint 2019 Portals or Best Sharepoint Designs or Hire Dedicated Sharepoint Developers and Sharepoint designers.